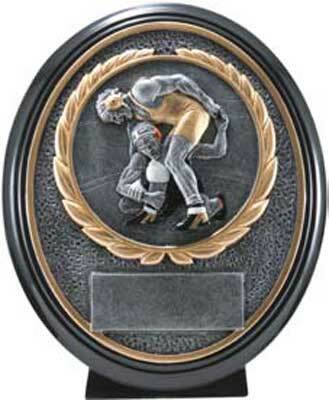 These resin wrestling trophies are a fine way to award your high school and college wrestlers. We have various styles and sizes available, all at affordable prices. 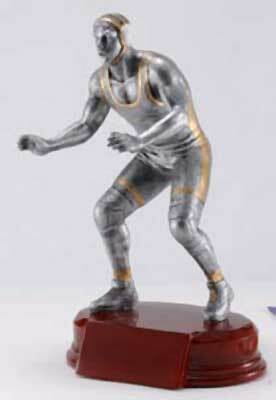 Resin wrestling trophies come with 40 characters of free engraving. Most orders are shipped in 5 to 7 working days. We ship UPS and have rush service available on most wrestling trophies. Click on a link below for more information on and to make a purchase of one our resin wrestling trophies.